L2G in 2018: This international forum is for those interested in developing a listening relationship with Jesus and in experiencing His freeing Truth. It's a place to learn, share stories, ask questions, and share what Jesus is doing in and through you. 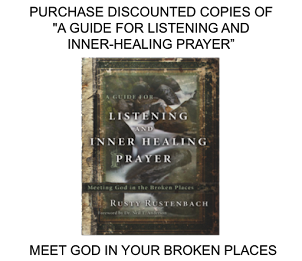 A Guide for Listening and Inner-Healing Prayer Leader's Guide for Book Study of "A Guide for Listening and Inner-Healing Prayer: Meeting God in the Broken Places." Issue of Identity (A Listening Prayer Exercise. To download; clicking on "Issue of Identity" will take you to Google docs, select "File" menu (left top), select "Download As," Select "PDF document (.pdf)"
I so appreciate your ministry and have benefited greatly from the "tools" section of your blog. I was a little dismayed to discover that you have not included "The Father Wound" by Agape Ministries together with "The Mother Wound". That wound is as significant a wound to the brokenhearted. Until you have an opportunity to remedy this, I suggest your readers simply "google" the words "The Father Wound" to access the article on their own. I am praying for you and your ministry with gratitude! 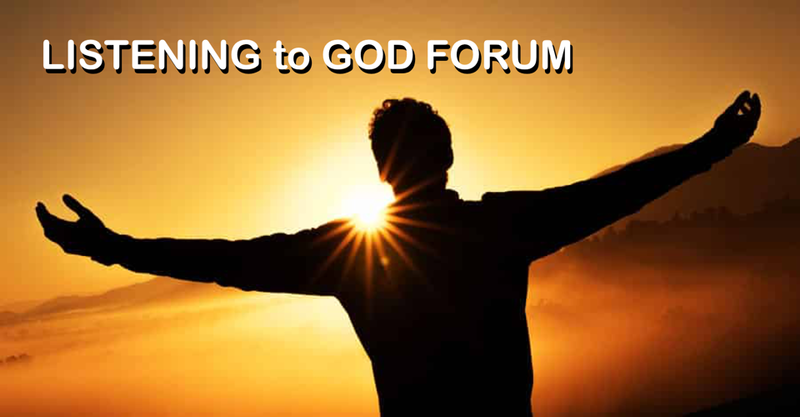 I'm glad your benefiting from the ministry God has called me to be a part of. Thanks for the heads up - I'll add the Agape Father Wound teaching. Have you looked at "The Father Wound 2012 version" under "Storyboards"? If not, when you get a chance you may want to take a look. Thanks also for your prayers - you are a blessing! Ohmygoodness! I missed "The Father Wound 2012 version" under "Storyboards!!! Oops!! Many thanks!!! I am eager to use this tool!! Glad you can use it in your ministry. ~ 1 to 5 books at $11.50 USD each. ~ 6 to 15 books at $11.00 USD each. ~ 16 to 23 books at $10.25 USD each. ~ 24 or more books at $9.75 USD each. Click on above image to go to Goggle Drive. Then chose download or print icon on top left of new page. Write a short book review of "A Guide for Listening and Inner-Healing Prayer"
Click here to see more than 1,000 "Past Quotes of the Week"
Click here to see notes and highlights from Kindle readers of the book. Click here to see reviews of "A Guide for Listening & Inner-Healing Prayer"
Click here to download free "Bible Study on Listening & Inner-Healing Prayer"
Click here to "See Us on Facebook"
Click here to "See Us on Twitter"
Click here to "See Us on YouTube"
Would love to know your response to this video...drop a comment below. MY NAME IS 'I AM!" Copyright 2011 Rusty Rustenbach. Picture Window theme. Powered by Blogger.